kt literary » Blog Archive » The Sunshine State Young Readers Award Books!! The Sunshine State Young Readers Award Books!! A huge round of congratulations to New York Times bestselling author Jaleigh Johnson whose middle grade fantasy THE MARK OF THE DRAGONFLY was named to the prestigious Sunshine State Young Readers Award Books list! “Fierce battles are tempered with humor, and Piper is a heroine to fall in love with: smart, brave, kind, and mechanically inclined to boot!” – School Library Journal, starred review! 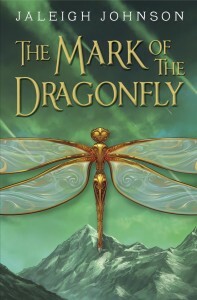 Read an excerpt from THE MARK OF THE DRAGONFLY here! The Sunshine State Young Readers Award (SSYRA) Program is a statewide reading motivational program for students in grades 3 through 8, sponsored by the Florida Department of Education (DOE) and Florida Association for Media in Education (FAME). The purpose of the SSYRA Program is to encourage students to read independently for pleasure and to read books that are on, above, and below their reading level in order to improve their reading fluency. Sunshine State books are selected for their wide appeal, literary value, varied genres, curriculum connections, and/or multicultural representation. The SSYRA committee is comprised of 20 qualified school librarians located throughout the state of Florida, subdivided into two committees- grades 3-5 and grades 6-8.